Watches like the Omega Ploprof and, now, the bulbous-looking Robusto, are designed for rough and ready wear. 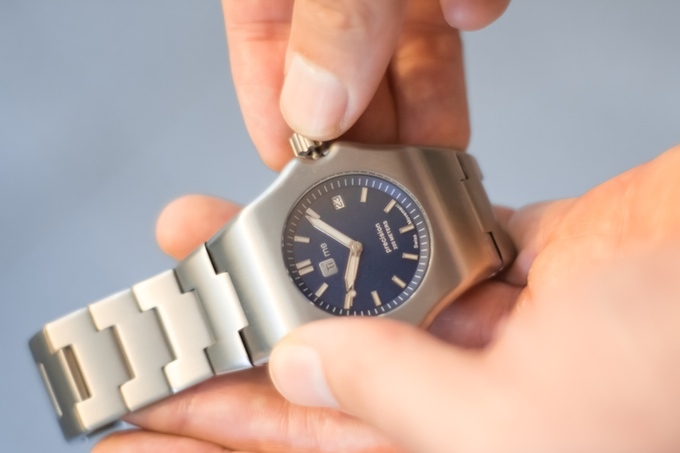 The watch, created by a Dutch company called Time22 features a titanium case and automatic movement and should be able to withstand pressure, smacks, and damage. The watch is made of Grade 5 titanium and is water-resistant to 200 meters. It runs an ETA or quartz movement and starts at $400 for the entry-level quartz model. It weighs 130 grams and has a 45mm face which means it’s surprisingly light for its size. The face is fully lumed with Superluminova. They are raising $44,000 and have hit $13,000 already. The watch is a little curvy for my taste but it looks like it wears well and, thanks to a huge crown, screw-down bars, and a hefty bracelet, you probably could run over this with a light truck and still wear it to prom. At $400 for a quartz and $549 for an ETA automatic movement you’re not looking at too much dosh and as long as you like the design you’re golden. The watch will ship in December 2016.